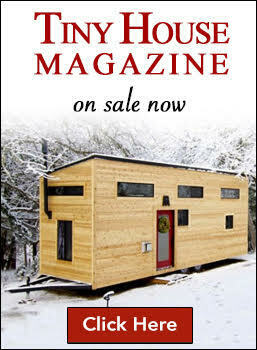 Movable tiny houses have become a recent trend of simple and stress-free living, built as detached, and mostly wheeled, though sometimes on skids or another portable form. They are highly inspirational and often sought after by people who appreciate the simple lifestyle, disconnected from society’s expectations. On the social development side, movable tiny houses are now becoming more widely accepted across the US and countries around the world. This is as a result of the lack of housing affordability, a major driver of the increase in all kinds of tiny homes. These kinds of houses are increasingly popular in countries like Australia, for one, where they just held the first-ever Tiny House Festival Australia. What’s not to love about tiny houses anyway?! Not only are they adorable, but they also come with so many benefits. Though, they are not without the disadvantages too, which should definitely not be overlooked when making a decision to move into one. We’ll share some of the common problems faced by tiny house owners and practical solutions in tackling these issues. Change may be the only constant thing in life, but we can admit that adapting to changes is not the easiest thing to do, especially changes that replace your typical everyday lifestyle comforts. This can be very inconveniencing. Well, do not to worry! Or in other words, convert your worry into something creative. Whatever daily routines, hobbies, and lifestyle preferences amassed from your previous house, creatively downsize them into the walls of your tiny home. Design your space around the things that bring you the most satisfaction. You may even imaginatively figure out how to comfortably translate your hobbies in your more confined new space, like a loft dedicated to crafting. Also establishing new routines in your tiny home can be reassuring and the new simplicity will become increasingly more gratifying, as you adjust to your new lifestyle. Enjoy the experience—your transitional journey! So a bijou sized movable house may be attractive to live in, but it may not seem so appealing after all when you begin to deal with the reality that it will be never as private as a traditional larger home. The toughest challenge of living in a tiny house, for some, may be this issue. The required compromise between the dwellers of a tiny house are endless. Like the limited privacy of a tiny bathroom and of an open loft space. There is also the privacy issue when it comes to the outside world, because a tiny house is almost always too cute to not be noticed. For instance, you may get an unwanted requests for tours from neighbors and strangers alike. And perhaps a couple of your tiny house windows face into a neighbors home or yard. All of this depends on where you are parked, of course. The privacy challenge is multi-faceted. The whole bumping into each other and not being able to enjoy your ‘alone moments’ can be so irksome. But, hey, we have a well-experienced solution for this. You may consider installing a frosted window cling on on an offending window, or a motorized retractable shade. This allows you great improvement on your privacy and keeps your home chilled even when the sun gets scorch outside. The shades are highly controllable, so you can operate them from any angle of your home. When dealing with privacy from your significant other, there is honestly not much that can be done beyond either getting used to the closeness, or stepping out for a little bit to enjoy time alone. You can re-adjust your routines to get out and about more. Just take the time to figure out cool new places in town to explore, like a library, co-working space, coffee shops, and any cozy outdoor spot could be your new word for private! In addition, you can readjust your daily routines at home to avoid conflicts around bathroom or kitchen access. You might be surprised to find how private a loft can feel, and removed from the downstairs "great room”. Additionally, headphones work wonders to create a private bubble, even if only a few feet away from your partner. Tiny houses have some challenges with building codes and zoning ordinances, all dependent on whether they are erected on a foundation or a trailer and where you want to live. Each city and county, for example, has their own specific regulations, like minimum square footage requirements and land use restrictions. These laws can be exhausting, to say the least, especially because it can be difficult to find a clear list of local requirements online. Before investing and moving into your tiny house, take the time to check out the regulations and possible restrictions by contacting your local building and land use departments. You may discover other regulations are also in place for grey water and composting toilets. Once you understand these regulations, you can work to comply, request a variance or advocate for change. Otherwise, you will have a better understanding of what code violations you may be reported for violating, if you decide to live on a property “under the radar”. Many want to enjoy the comfort and peace of mind that living tiny legally can bring. But there is a place for responsible civil disobendience. Most code enforcement is done on a complaint basis. For many tiny dwellers this may never occur. If it does, you have as little as 48 hours to move. 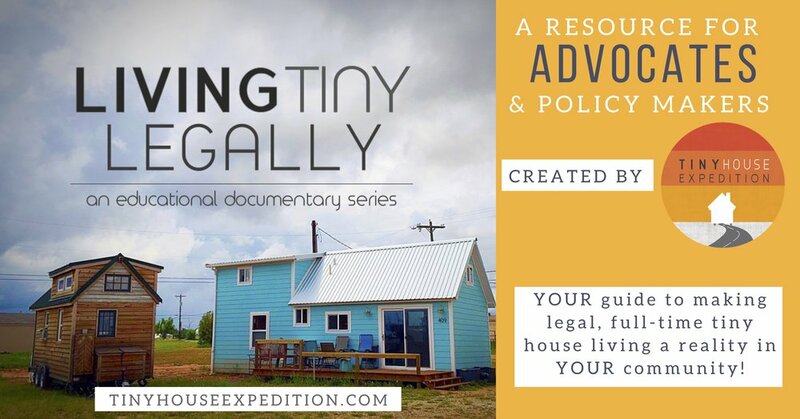 For more on how a growing number of cities are overcoming legal obstacles by officially welcoming tiny houses into their communities, watch Living Tiny Legally, Parts 1 and 2. Now available online for free. Experience has shown that the maintenance and energy use of movable tiny homes is much more cost-effective when compared to traditional homes. Though there can be air quality and mold issues, especially for those relying on propane heaters. This is not typically an issue for traditional homes because they are ventilated differently than tiny homes. Things can go horribly wrong if not given proper consideration during the build. On the positive, many professional tiny house builders are aware of these issues. Also you can learn from the mistakes of tiny house owners and DIYers. They may better be able to help with a little technical advice. Also DIY how-to’s on topic are available— see the Performance for Tiny Spaces eCourse. Smaller electrical heaters or wood stoves may be the best bet for you to avoid excess moisture and carbon monoxide. However, if you go with some kind of furnace or propane heating, a smart wireless thermostat may be a worthwhile monitoring solution. It can help you regulate your home temperature and air quality levels. Thanks to technology, you can even do this right from your phone. How cool! This way, your home can maintain its coziness and cleaner air levels wherever you are. Just make sure that your battery charger is constantly full and ensure your home is properly insulated so that a more heat is retained. Also look into self-ventilating skylights. They can monitor temperature, air quality and have rain sensors—electric and solar powered options available. And de-humidifers can work wonders for reducing moisture in the air. Air Pollution; specifically – Farting! 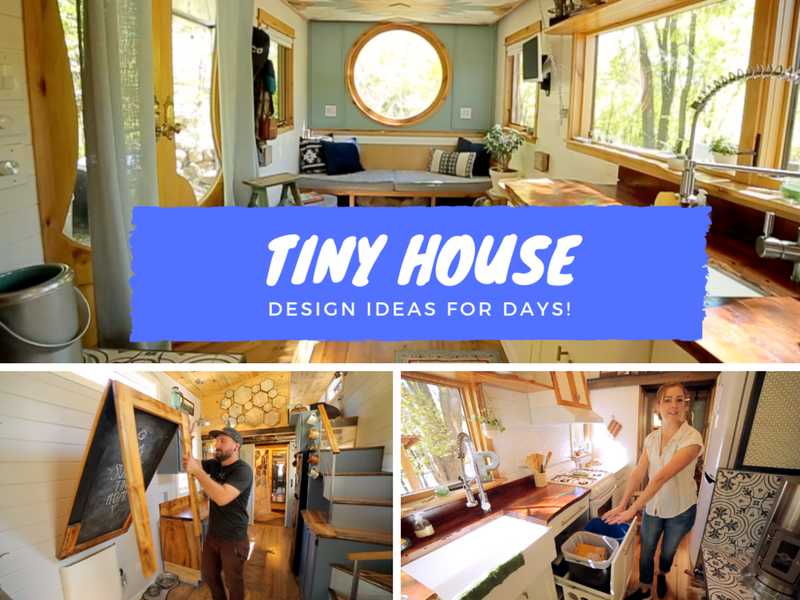 Okay, this may appear as a fun challenge but it made it to our list because it has been a recurring criticism of tiny houses. On the real, it is tough to deal with the smell of a fart in a small enclosed space, and you cannot escape this natural biological occurrence. You can only craft a way of dealing with it, and we have a solution for you. Movable tiny house owners’ face the challenge of efficiently storing there belongings and finding space for necessary but infrequently used items. Luggage, for instance, is not easily tucked away in a small space! Understandably people have a hard time parting with these kinds of things, because they are uncertain if the need for it may arise or not. Renting storage units may not be such a viable option because this comes with additional costs. Hence, people are faced with coming up with alternative storage solutions. Another issue is that many have not downsized their everyday-use possessions sufficiently, and then are stuck having to stuff their tiny houses full or downsize further, after moving in. The first reality to accept is that it is rather unwise to move into a tiny house without thoroughly downsizing ahead of time. It may be painful to part with some of your things but will feel so good afterwards. Consider how long you envision yourself living in your tiny home, only two years or for the unforeseeable future. It may be worth your while to budget for a small storage unit for items or furniture you may want in the future. Or find a way to let go of as much as possible with the help of resources, like Brynn Burger’s new book Simply Living Right Now. Then you can fully embrace living in the now, and not holding on to things because of “what-if’s”. And you might be able to make a little profit on your discarded belongings. A lot of consignment or antique shops are willing to pay well for the appropriate items in great condition. Beyond that, you can rent a booth space at a local flea market to try to sale your top-shelf items, and then sale the leftovers at a yard sale. From there, you can get a tax write-off for donations to Salvation Army type thrift stores. One creative solution for items you don’t use much, like camping gear or tools is to find a friend to share with. There is love in sharing after all! If a nearby friend can accommodate your belongings in their garage or house, then maybe you can make a low-cost or trade arrangement with them, like letting them use your tools when needed. Also, if you live in a tiny house community of some kind, there may be a shared storage shed of some kind. You can enjoy your movable tiny house to the max only if it is always kept clean and organized. Each item must have a home. Otherwise, beware of unruly piles of things left on the counter or in corners. When a home is disorganized, the mind can’t really function in its full capacity, and for a tiny home, it may easily zap out the fun experience that comes with downsized living. Declutter. Really, we can’t be any more emphatic about this because a tiny house is already efficiently built, typically with multi-functional storage solutions. Because of this, the house is primed for organization. But small spaces, get dirty and cluttered feeling three times as fast as a regular house. The good news is this can be quickly corrected. Decluttering does not necessarily mean getting rid of more things but figuring out creative ways of keeping your space orderly. One creative method to consider is adding more multi-functional elements or swapping out furniture with options that double up its functionality. For example, a collapsing bed that doubles as a couch and perhaps triples as a storage box too! Ikea sales just the thing, a popular item in many tiny homes. Also consider setting aside time daily to clean. Just ten to fifteen minutes are needed to transform your tiny space, in the morning or after you get home from work. Go from overwhelmed clutter to refreshing simplicity within moments! What’s a home without a refrigerator? Still on the challenge of available space in a movable tiny house, can be food storage. One used to a bigger house with a jumbo refrigerator and walk-in pantry will likely have a hard time adjusting to a downsized lifestyle that will not be able to accommodate the same amount of groceries and kitchen ware. Consider changing your grocery shopping habits from bulk purchases or heavy reliance on frozen food items to more frequent shopping trips and fresher eating habits. This way, you have to worry as much, since your storage needs will be reduced, and you are more likely to consume it all before it perishes—less potential food waste! But if you would rather have a space to store items for much longer, that works too! Just design your tiny house around a full-size fridge/freezer combo. Or perhaps, if in a tiny home community you can used shared facility to store bulk items, or if you own your land, you can create a root cellar. This way, you don’t have to compromise. When considering living in a tiny house, don’t feel dismayed by the lifestyle adjustments and unavoidable challenges that surely come with it. Thoughtful consider your needs, then prepare a plan to accommodate them in your design. By identifying your preferences, even if by trial and error to a certain extend, you can achieve a satisfying home and desired comfort level. 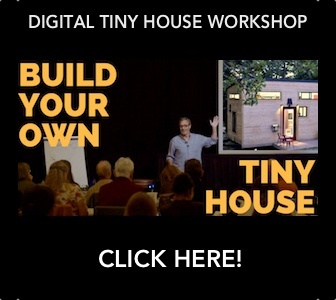 Lean on the experience of others through local tiny house Meetups, Facebook groups and blogs. You can overcome challenges in your transition process and home design, as they arise. Most importantly, remember a simpler life means less time and money to waste, and essentially, more time to prioritize and enjoy more of life’s new experiences.